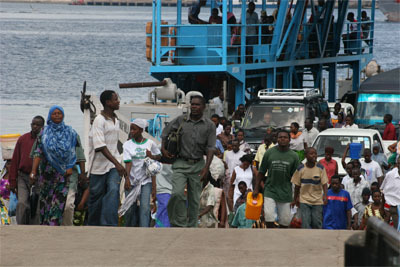 You leave the airport in DAR and you know you are in Africa. Everything confuses you and that feeling is great. Dust and dirt wonders around. Bikes, motorbikes, half-a-bike, cars that hardly stay together go passing by without a continental logic but surely with an African one. That confusion that helps you reach places, do things and achieve and arrive; maybe not on time, but still you will arrive and nobody will notice the delay. When I used to live in Nigeria, we used to say that whatever was impossible and forbidden it could be done. Whatever it was allowed it would have been difficult and most of the time impossible to be done. DAR has great restaurants. Not many know them. 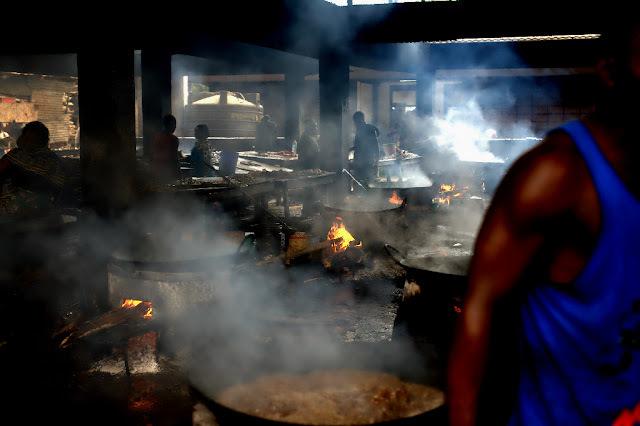 You have to ask to go to the local places where you eat ugali and chicken dipped in that wonderful tasty sauce. You eat it with the hands, helped by ugali and smashed into the pot. Yummy! Taste good ! 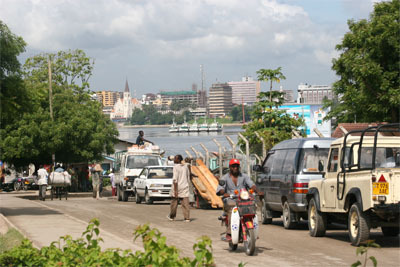 Dar es Salaam has a big bay in town. Sometimes, if you are coming from the South you prefer to cut it short by loading your car into the ferry boat to cross the lagoon. 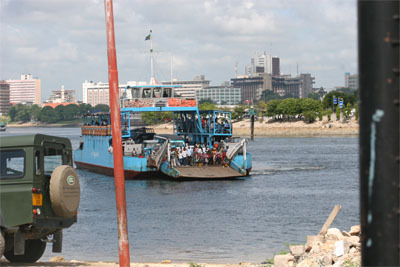 It takes only 10 minutes to cross on a blue ferry that plays all Bob Marley songs at full speed. You will be able to sing and dance even if you are still waiting your turn to get on. Even if the ferry is on the opposite side of the bay, you still hear the song. What takes long to get on board is the que before your turn to step in. It is so long and it takes so much time to wait that markets got organized along the last km before the dock. 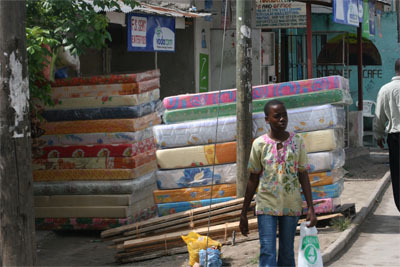 You may find stores filled with mattresses or anything concerning spare parts of any kind with out a real logic, except the African one. 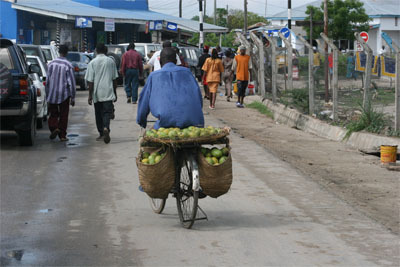 People selling cold drinks, coconuts, baskets. The best is the moving stand for nail polish. It is a log of wood, with many holes in it where all the colored nail polish are stacked. The owner put the log on his shoulder and carry it around, the way you do with your own ski in winter on the snow. The sun shines on everything, even on the nail polish that I really would like to know how will they ever be smooth to be laid properly on a nail.